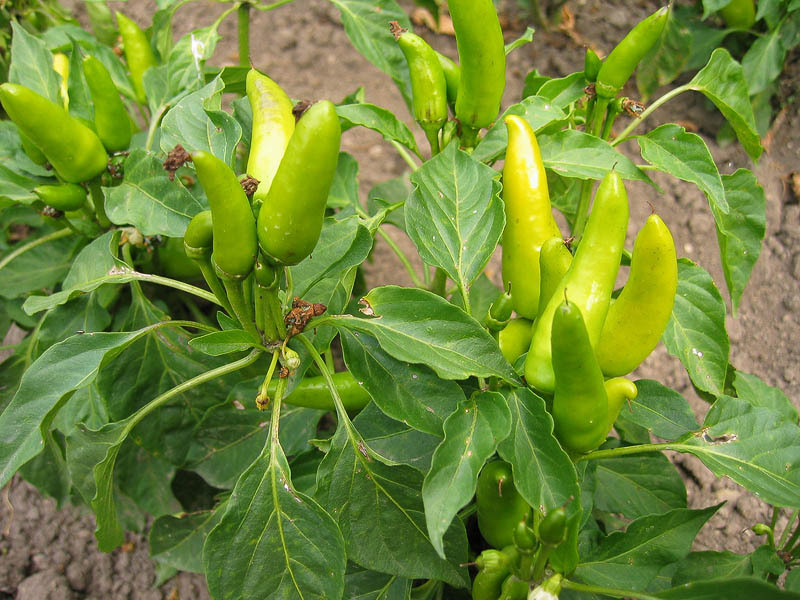 Chilli pepper plants with ripening green peppers in vegetable garden. Natural food. Horticulture.